Update: Team Tyne Innovation have arrived safely in Antigua and cracked the world record as the fastest mixed four! About a year ago we posted a blog about our client, Phil Kite, who created project Team Tyne Innovation after deciding to take part in the Talisker Whiskey Atlantic Challenge – a 3,000 mile row across the Atlantic ocean. 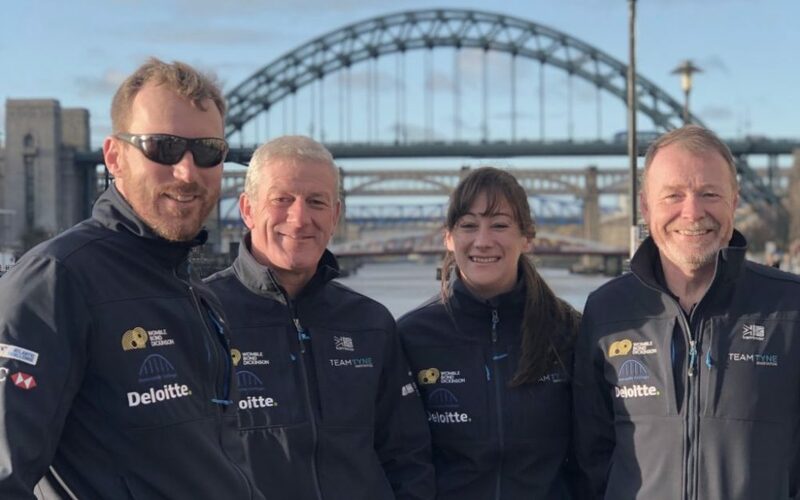 Phil and his three team mates are now over half way through what is known as the world’s toughest row, and we were lucky enough to receive an update from Phil himself straight from the Team Tyne boat. With around 500nm left to go, they’re on course to achieve a world record for the fastest Atlantic crossing by a mixed four. We couldn’t be happier to hear this excellent news! Team Tyne Innovation aims to support local charities and showcase the innovation and talent the North East has to offer, with a variety of local businesses and charities offering supplies and support for the team’s journey. Check out their Twitter page for updates on their journey, or head over to the website where you can make a donation for a great cause. You can also track their boat here. We’re extremely proud of Phil and the team for everything they’ve achieved so far and wish them the best of luck for the remainder of the race!